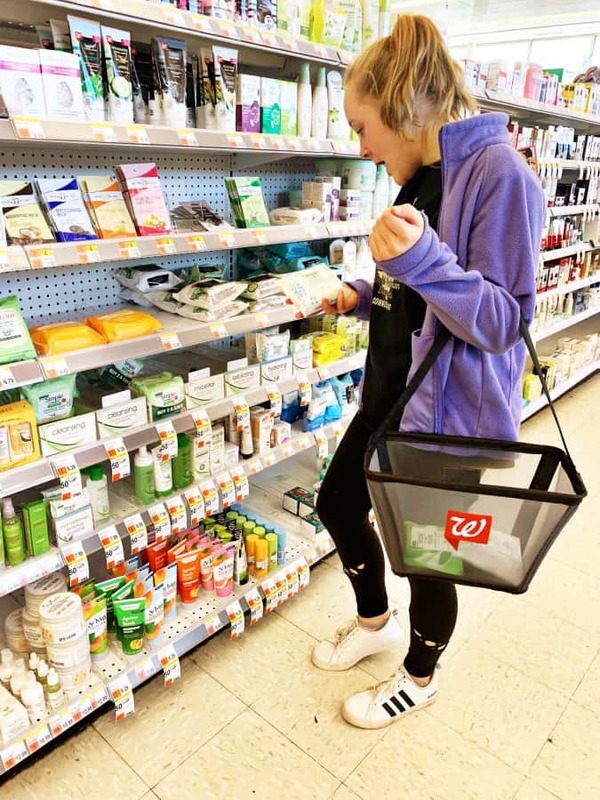 This tips for teen skin care on the go post is sponsored by Mirum, but opinions expressed are my own. Healthy skin is really important, especially in the teen years. It starts good habits at a younger age, which will stay with kids their whole lives, but it’s also become more important as social media has grown- love it or hate it, social media is here to stay and teens are either using it or showing up in friends photos. Helping them to care for their skin can help give your teen confidence- and we all know how important that can be for teens! Cleansing, moisturizing, makeup removal…it can all get overwhelming. For many teens (and tweens), teenage skin care routines need to be taught. It’s not all about diet, nor all about products, but a balance of diet and product that will help your teen with their skin care routine. 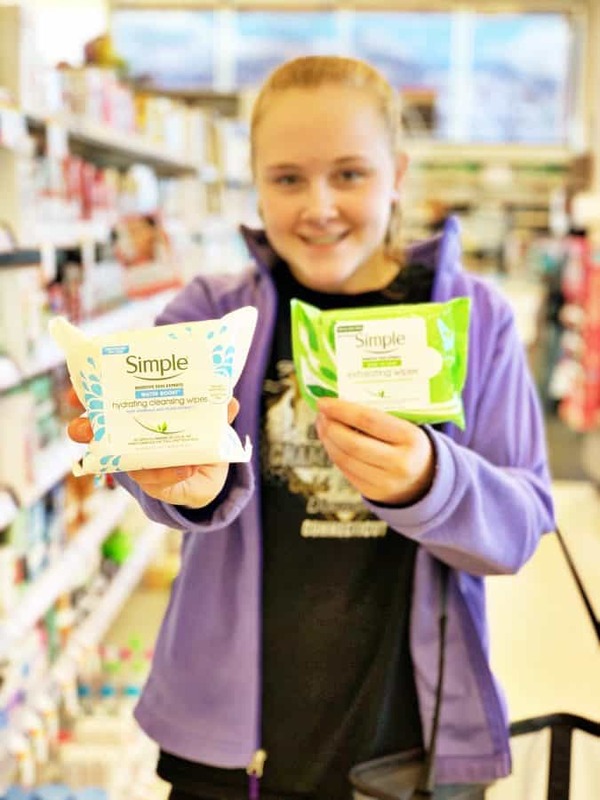 SIMPLE helps teens to develop good skin care routines with trustworthy, easy solutions for sensitive skin. 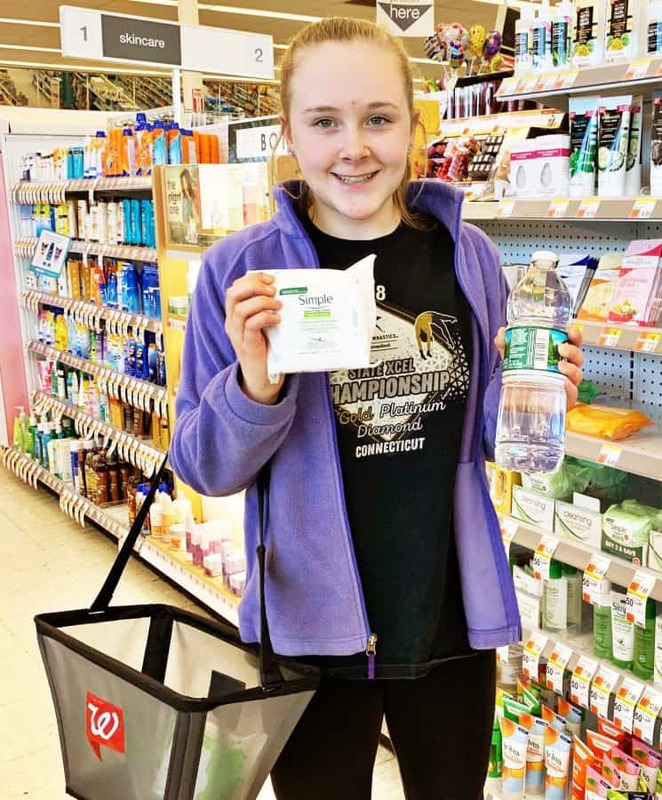 We already use Simple products at home for our teen (and our tween), but we’ve taken it a step further to help her take care of her skin on the go with some different Simple products. We already like the brand because of what ISN’T in their products, and how gentle it is on sensitive skin, and now we’re just branching out into more mobile products for on the go! Teens are busier than ever, and finding the time to do a full skin care routine isn’t always doable. It’s not surprising that with today’s busy lifestyles that even teens are looking to find ways to simplify and streamline things, including skincare. We all know that water is a huge part of our overall health and well being. It doesn’t just hydrate the body- it also hydrates skin cells and gives it a more radiant glow. Opt for water over sports drinks, sodas, fruit juices, etc. Water should always be the first drink you reach for! It’s know that a combination of hormones and increased oil production can wreak havoc on teenagers’ skin. That oil causes trouble by clogging pores which allows bacteria and debris inside- and that can lead to breakouts. Daily face washing is a must, especially for teens. But when teens are on the go- how do you keep that face clean? 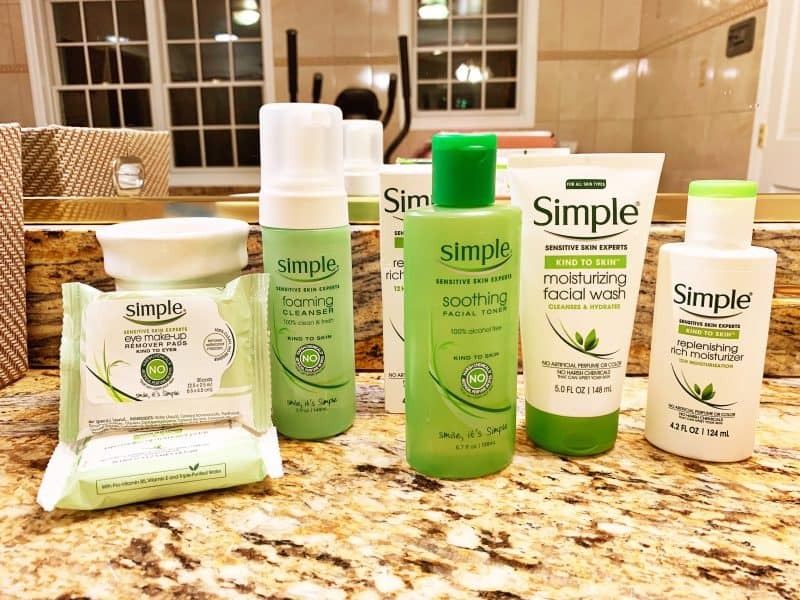 Simple products meet the needs of teen skin and make skincare routines Simple. 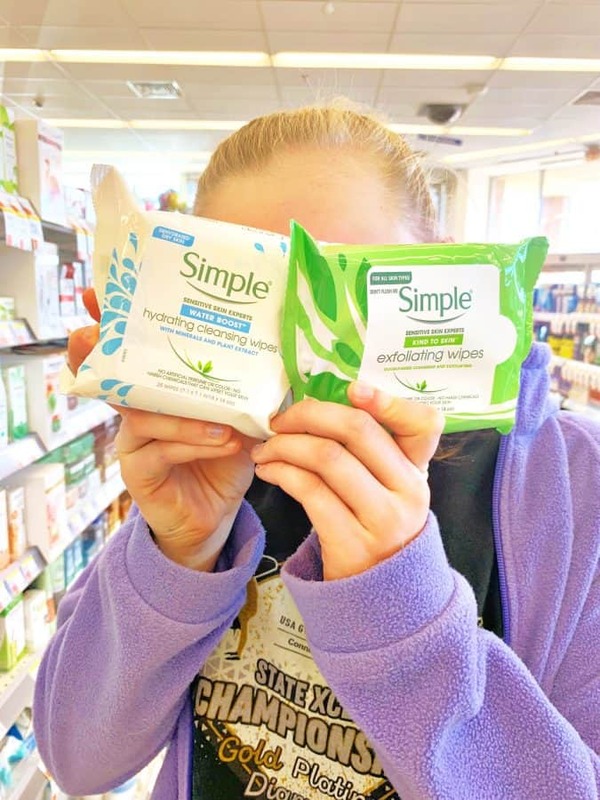 Teens can use the Simple line for their daily routines when they have time, but for when they are simply on the go and can’t get to their bathroom at home for a full cleansing routine, Simple Cleansing Facial Wipes are great as they gently cleanse skin of impurities and unclogs pores, in the convenience of a facial wipe. 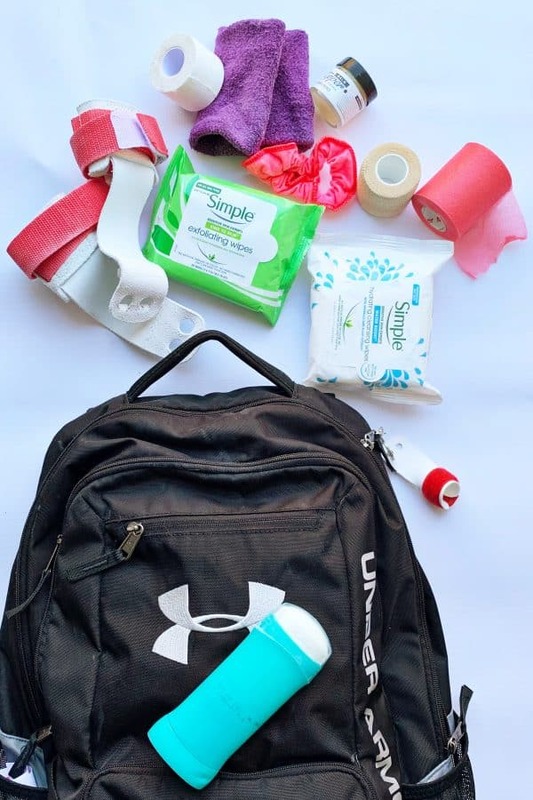 That means my gymnast can clean her face immediately after a practice or training session, or a meet, and get that sweat and chalk from the gym off of her face quickly and easily! They also easily and gently remove waterproof mascara while cleansing skin of impurities and unclogging pores. As kids transition into being teenagers, many of them start wanting to wear makeup. While they may insist that they need to wear full makeup, the truth is that their skin is young and probably pretty healthy already and with the glow of youth on their side, they don’t need much. Besides, makeup can end up blocking the pores, so you want to keep makeup coverage to a minimum. We started allowing our daughter to wear a light lip gloss and pale eye shadow in grade 7, and added concealer and a brown mascara for grade 8. She did get some light blush colors for Christmas and she’s worn that a few times. Some kids in her 8th grade class are wearing foundation and powder, along with contouring and highlighting. If you are allowing your teen to wear all of that, make sure you take the time to educate them about getting that makeup off before they go to bed each night! 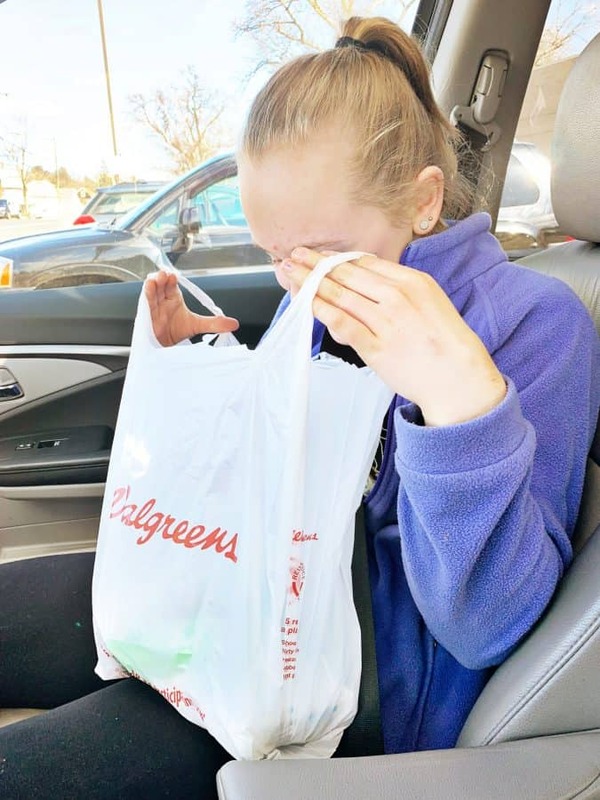 Since our teen is pretty busy with gymnastics practices 4 times a week and babysitting three days a week after school, she likes to have an easy option for removing her makeup or cleaning her face quickly on the go. She likes having the option to clean her face quickly no matter where she is! Touching your face, especially blemishes and acne spots, can introduce bacteria and more oils to your skin. If you must touch your face, do so with clean hands! Really, though, the more you don’t touch, the better off your skin is. 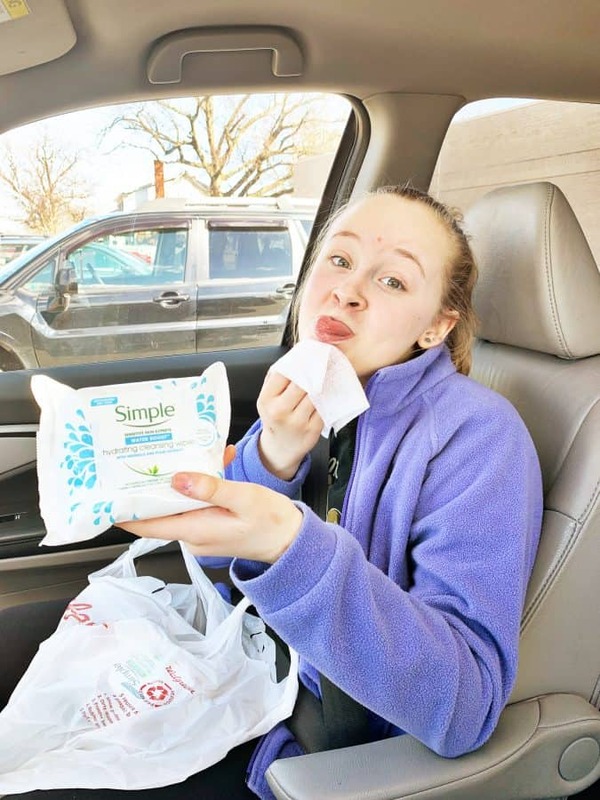 Simple Exfoliating Wipes help to gently lifts away dead skin cells, while nourishing the skin with beneficial pro-vitamin B5 and vitamin E. Grab a wipe on the go instead of poking at or touching your face! It’s been said a million times over, but opt for fresh fruits and veggies when possible. Oily, greasy foods combined with teen hormones can really help those breakouts to increase in frequency. Feeling a little greasy? 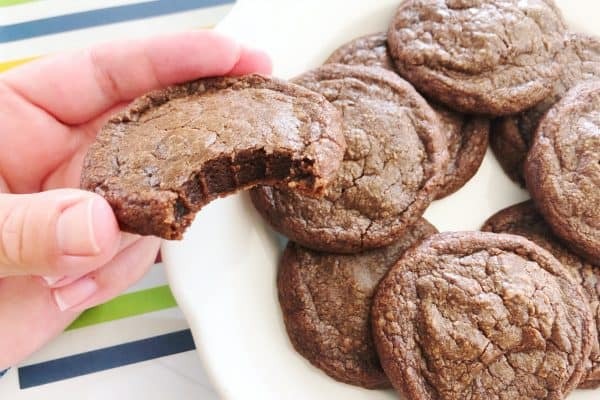 Maybe you did more junk foods than healthy on the go today? 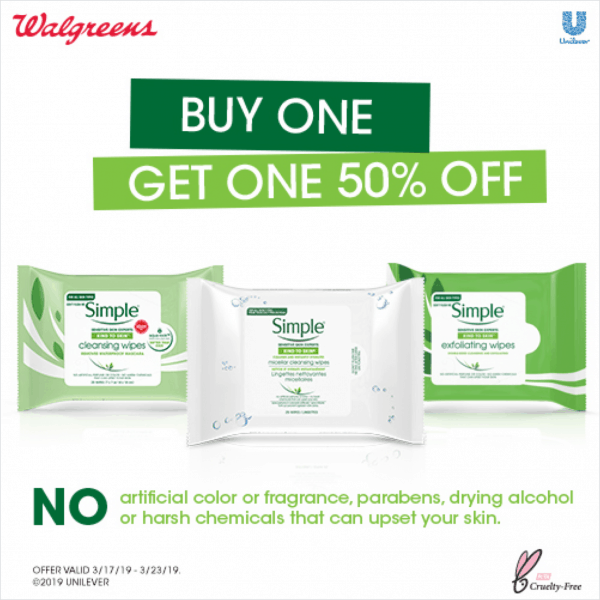 Try the Simple Micellar Cleansing Wipes made with cleansing bubbles called Micelles which are smart enough to lift makeup and unclog pores. Skin is left feeling refreshed and instantly hydrated. They remove all makeup, including waterproof mascara with just one wipe. 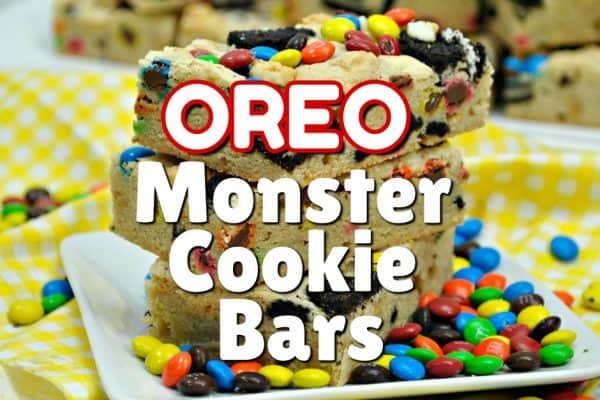 They are perfect for when you’re on-the-go. 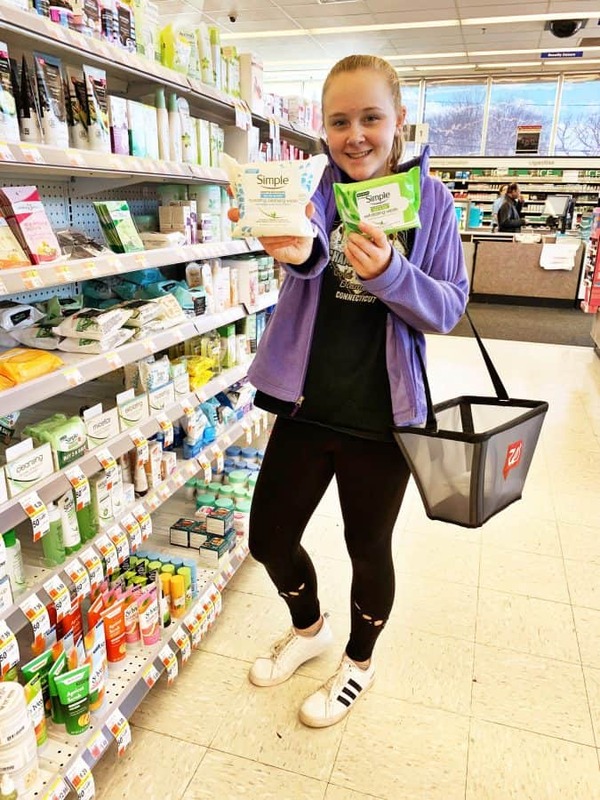 Micellar Cleansing Wipes contain no artificial perfume or dyes and no harsh chemicals that can upset your skin- they’re Dermatologist tested so you can feel comfortable using them on even the most sensitive skin! Teens have enough to deal with between hormones, school, socializing and ever-changing skin. I may not be able to simplify all areas of my teen’s world, but I can definitely help to SIMPLEfy her skin care to save her some time! 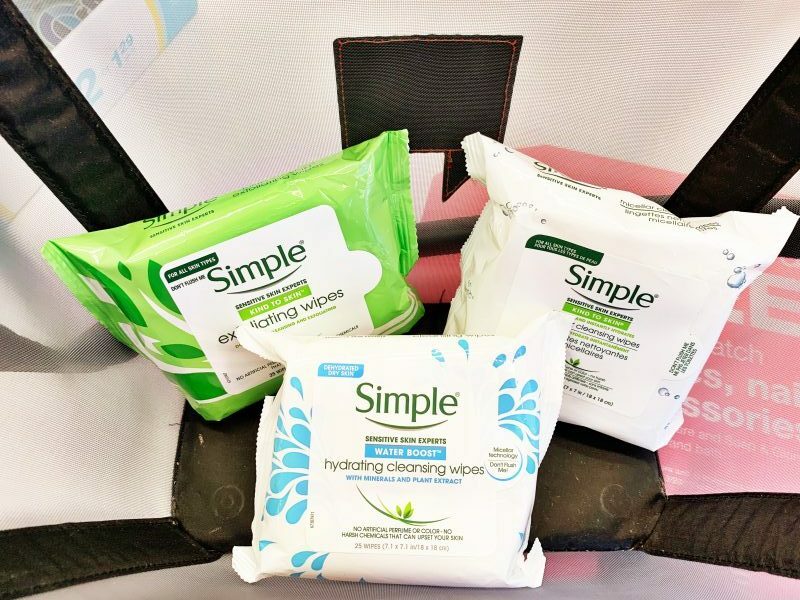 Simple products meet the needs of her skin at home AND on the go plus they make her skincare routine Simple. 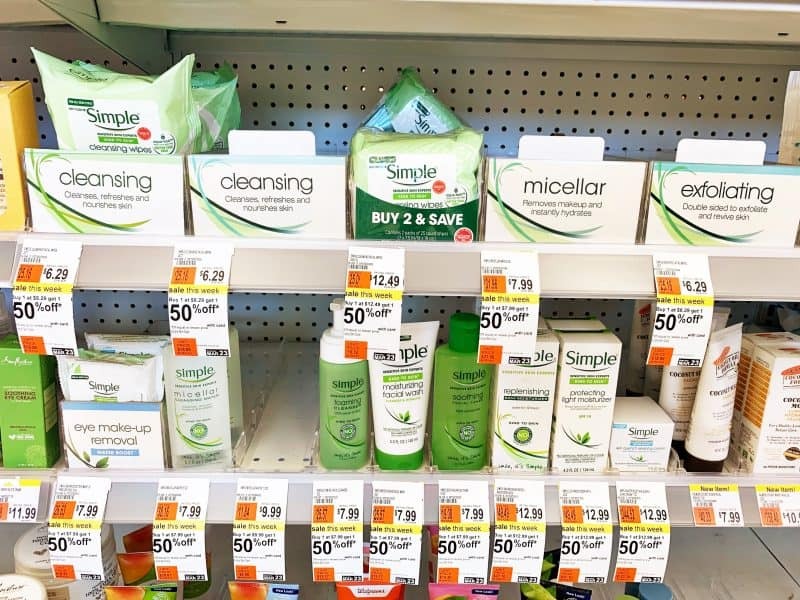 Find Simple Facial Cleansing Wipes, Simple Micellar Wipes, and Simple Exfoliating Wipes and more in the skin care aisle at your local Walgreens! 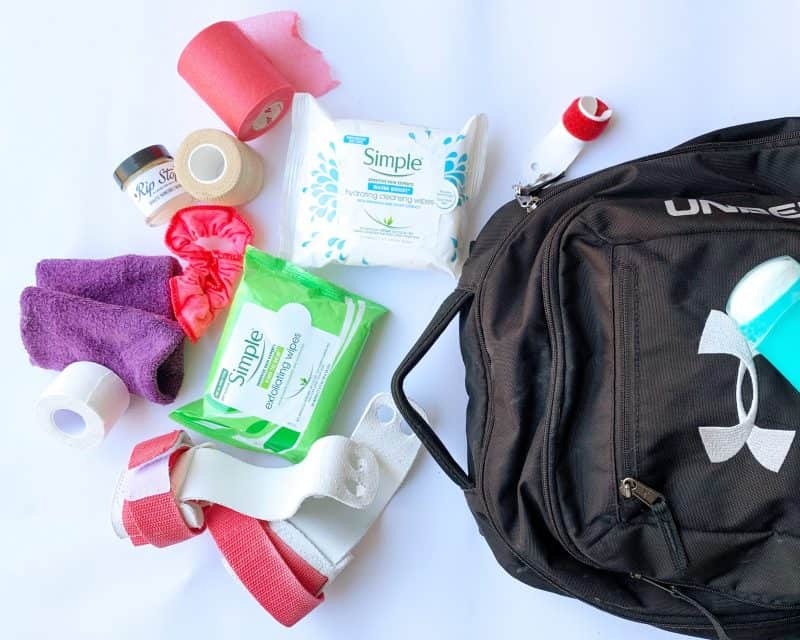 What are your tips for teen skin care on the go? Do you have an active teen in your life, too? Simple is really great for the skin! I love the micellar water wipes and the face toner. These are great tips for teens! Those wipes seem like a good choice when you can’t get home to wash your face. It is important to use gentle ingredients on your skin. What teen isn’t on the go?!? Being the adult, have missed washing my face, simply out of being too busy. Facial wipes make it happen on a daily basis. What great skin care products for teens. Most teens begin experiencing skin issues (acne, pimples) early on. It’s good to have a brand like Simple that helps them with these issues. Simple do some really great skin care products don’t they and they are always so kind for skin. 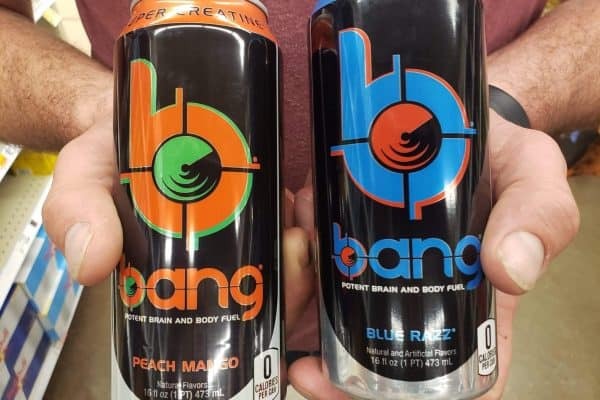 Defintiely a great brand for teens.